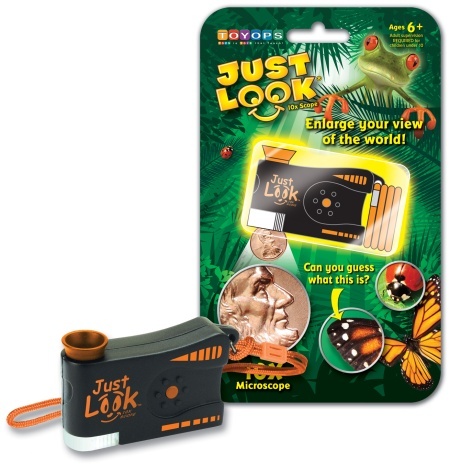 JustLook Scope - Eureka Concepts - How good is that?! 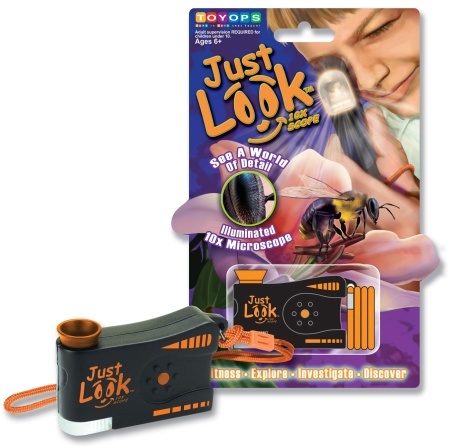 Discover the world around you magnified 10x and brightly illuminated by a powerful LED for an awesome 3D experience! Palm-sized, crystal optics microscope lets you explore small details around you. Great for girls and boys from 6 years. Individual exploration and also great for school, camps, clubs, etc. Cool orange wrist-strap to take JustLook everywhere. Purple Packaging. Click to enlarge.